Direct Fit | Bolt-On | Plug & Play - This is an exact fit high output alternator designed specifically for your Lincoln LS 2003 - 2005 3.0L V6 [182c.i.]. No modifications to the Lincoln LS are necessary! This unit mounts the same as your factory Lincoln LS alternator and utilizes the same electrical connections. 125AMPs @ Idle and Full Output Available at a Low 1200RPM! 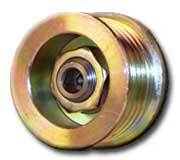 - Delivers the power on board your Lincoln LS when you need it, across the entire RPM range. The other guys expect you to spin your engine to 6500RPM before their alternator makes the rated output while their idle output is actually lower than your factory Lincoln LS alternator! Daily Driver & Competition Ready - All of our alternators can be used in a daily driver or in a competitive environment without problems. These are the most reliable, highest output alternators on the planet designed specifically for your Lincoln LS. Our unconditional one year warranty backs it up as well as our customer testimonials. Direct Fit | Bolt-On | Plug & Play - This is an exact-fit high output alternator designed specifically for your Cadillac CTS. No modifications to the Cadillac CTS are necessary! Our unit mounts the same as your factory Cadillac CTS alternator and utilizes the same electrical connections. 125AMPs @ Idle and Full Output Available at a Low 1200RPM! - Delivers the power on board your Cadillac CTS when you need it, across the entire RPM range. The other guys expect you to spin your engine to 6500RPM before their alternator makes the rated output while their idle output is actually lower than your factory Cadillac alternator! Daily Driver & Competition Ready - All of our alternators can be used for daily driving or competitions without a problem. These are the most reliable, highest output alternators on the planet designed specifically for your Cadillac CTS. Our unconditional one year warranty backs it up as well as our customer testimonials. Direct Fit | Bolt-On | Plug & Play - This is an exact-fit high output alternator designed specifically for your Mazda 3. No modifications to the Mazda 3 are necessary! Our unit mounts the same as your factory Mazda 3 alternator and utilizes the same electrical connections. 125AMPs @ Idle and Full Output Available at a Low 1200RPM! - Delivers the power on board your Mazda 3 when you need it, across the entire RPM range. The other guys expect you to spin your engine to 6500RPM before their alternator makes the rated output while their idle output is actually lower than your factory Mazda alternator! Daily Driver & Competition Ready - All of our alternators can be used for daily driving or competitions without a problem. These are the most reliable, highest output alternators on the planet designed specifically for your Mazda 3. Our unconditional one year warranty backs it up as well as our customer testimonials. 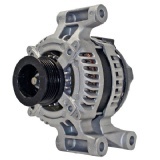 Direct Fit | Bolt-On | Plug & Play - This is an exact-fit high output alternator designed specifically for your Mazda 5. No modifications to the Mazda 5 are necessary! 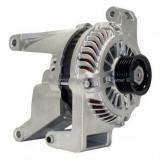 Our unit mounts the same as your factory Mazda 5 alternator and utilizes the same electrical connections. 125AMPs @ Idle and Full Output Available at a Low 1200RPM! - Delivers the power on board your Mazda 5 when you need it, across the entire RPM range. The other guys expect you to spin your engine to 6500RPM before their alternator makes the rated output while their idle output is actually lower than your factory Mazda alternator! Daily Driver & Competition Ready - All of our alternators can be used for daily driving or competitions without a problem. 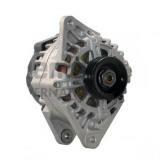 These are the most reliable, highest output alternators on the planet designed specifically for your Mazda 5. Our unconditional one year warranty backs it up as well as our customer testimonials. Direct Fit | Bolt-On | Plug & Play - This is an exact-fit high output alternator designed specifically for your Hyundai Accent. No modifications to the Hyundai Accent are necessary! Our unit mounts the same as your factory Hyundai Accent alternator and utilizes the same electrical connections. 100AMPs @ Idle and Full Output Available at a Low 1200RPM! - Delivers the power on board your Hyundai Accent when you need it, across the entire RPM range. The other guys expect you to spin your engine to 6500RPM before their alternator makes the rated output while their idle output is actually lower than your factory Hyundai alternator! Daily Driver & Competition Ready - All of our alternators can be used for daily driving or competitions without a problem. 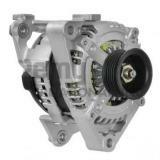 These are the most reliable, highest output alternators on the planet designed specifically for your Hyundai Accent. Our unconditional one year warranty backs it up as well as our customer testimonials. Direct Fit | Bolt-On | Plug & Play - This is an exact-fit high output alternator designed specifically for your Hyundai Tiburon. No modifications to the Hyundai Tiburon are necessary! Our unit mounts the same as your factory Hyundai Tiburon alternator and utilizes the same electrical connections. 100AMPs @ Idle and Full Output Available at a Low 1200RPM! - Delivers the power on board your Hyundai Tiburon when you need it, across the entire RPM range. The other guys expect you to spin your engine to 6500RPM before their alternator makes the rated output while their idle output is actually lower than your factory Hyundai alternator! Daily Driver & Competition Ready - All of our alternators can be used for daily driving or competitions without a problem. These are the most reliable, highest output alternators on the planet designed specifically for your Hyundai Tiburon. Our unconditional one year warranty backs it up as well as our customer testimonials.